For the first time in eight years, a DCI World Championship event was canceled due to severe weather. The Open Class Prelims came to a halt on Monday, Aug. 8 after only two corps had performed at Ames Field in Michigan City, Ind. 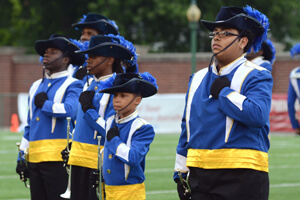 Although the event was scheduled to feature 18 Open and International Class corps, only Spirit of Newark/New Jersey and Blue Saints took the field before storm clouds rolled in and rain and lightning caused a delay in the action. 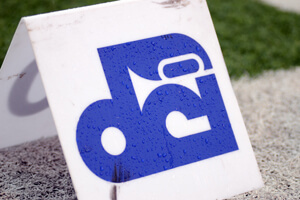 Open class coordinator David Eddleman explained that DCI's weather policy is to postpone a show for one hour and then reevaluate the situation, extending the delay as necessary. Monday's rain delay was announced at 5 p.m., then extended an additional hour at 6 p.m. "We determined that if we could start the show by 7:30 pm we could get it in by about midnight tonight," Eddleman said. He further explained that the show was cancelled at 7 p.m. when it became clear a 7:30 pm step off would not be possible. "Pushing the show back any later would mean it would not get done until after midnight. Rather than put the corps through having to get back to their housing sites in the wee hours of the morning and being back for the Finals show tomorrow, we decided to just move the entire show to Tuesday," he said. As the first few drops of rain began to fall, the Blue Saints performed their show, "Stranded." They didn't let the rain get in the way of a great performance, according to tenor drummer Zach Farrell. "We had a good warm-up this afternoon, rehearsal went great, and we played as best we could," Farrell said. "We're just doing the best we can and hoping we make it all the way to Finals." Farrell's corps will do that. All 18 corps on Monday's schedule will be rolled into the Open Class Finals lineup on Tuesday, Aug. 9, at Ames Field. "We'll have 18 corps perform, and we'll take our top 12 scoring corps and they'll come back on the field at the end for the grand finale tomorrow night," said Eddleman. "We'll name the Open Class Champion, all of the caption award winners, hand out all of our patches and our medals—all the things we were planning on doing that we would typically do during Finals." 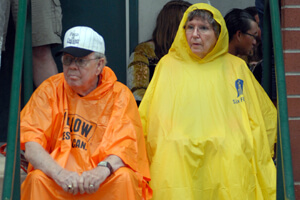 Fans at Ames Field wait out the storm.